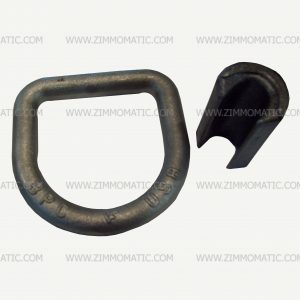 The heavy-duty d-ring set, with a diameter of 1″ solid steel is worthy of your confidence to hold any runaway trailer. You can feel at ease with a set of these d-rings on the pintle hitch of your truck, whether a tractor or tri-axle. 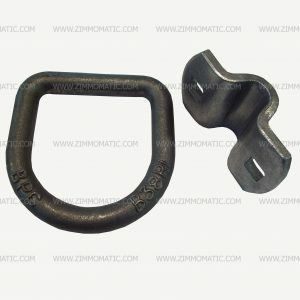 Even if things do not go quite as planned, your trailer will not get out of control with a pair of these d-rings holding it in the event that your trailer does cause trouble. The 1 inch diameter d-ring set is rated for 15,586lbs of Working Load Limit. 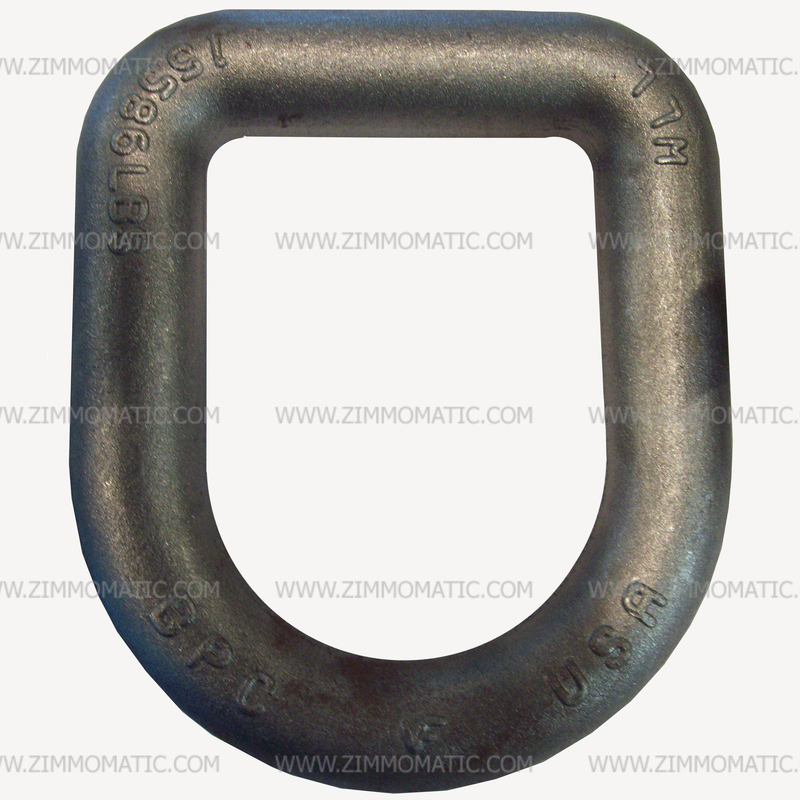 The d-ring, 1 inch diameter is used on pintle hitch plates, typically on tri-axle dump trucks. 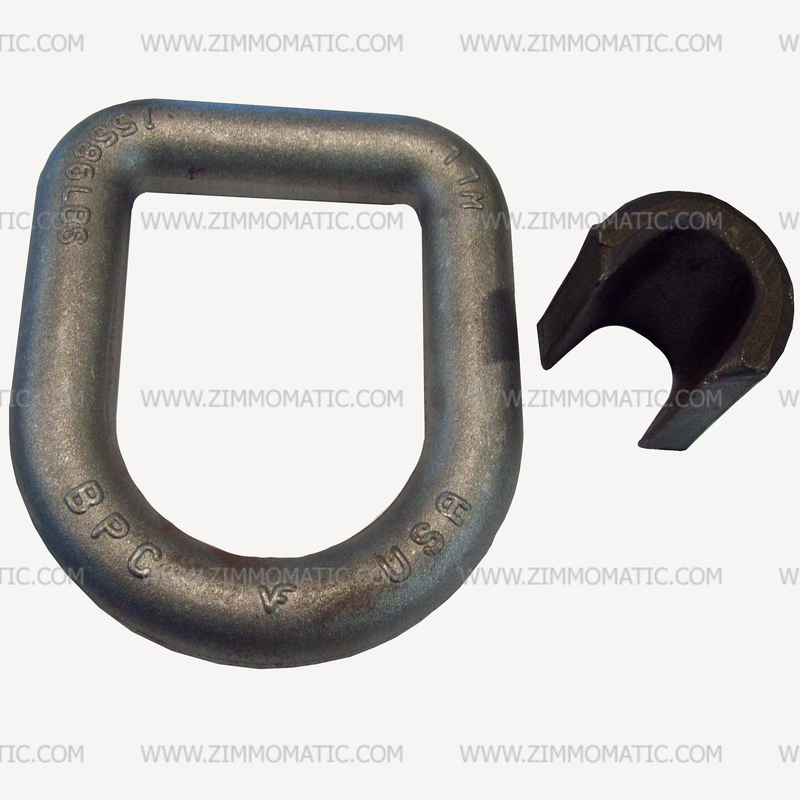 Weld the collar that comes with the d-ring to the pintle hitch, providing a place to hook the trailer chains. 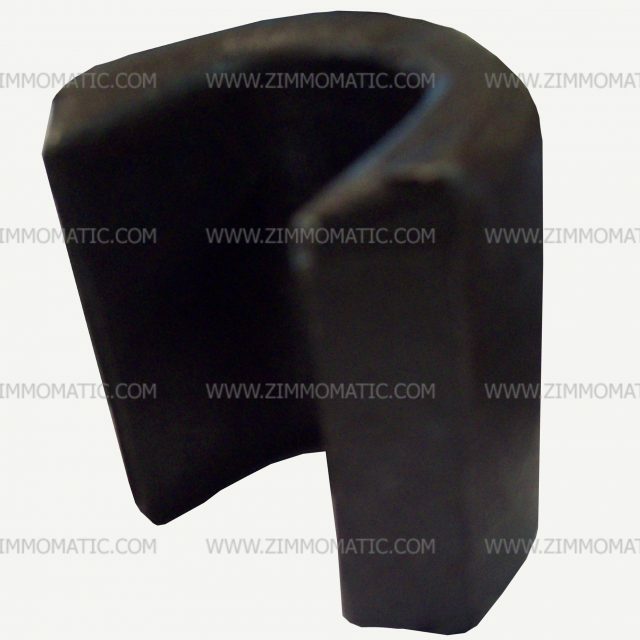 The edges of the weld-on collar, cut on an angle, give an angled cavity when against the pintle hitch plate to fill with weld. This gives a good solid construction. When you buy a heavy-duty d-ring set, you will receive one ring and one weld-on collar. You can buy a lighter set if you plan to mount them on a small truck, BPB40. Our distributor rates this smaller set for 6,130lbs of Working Load Limit.